On Saturday July 3, from 2:00 p.m. to 5:00 p.m. 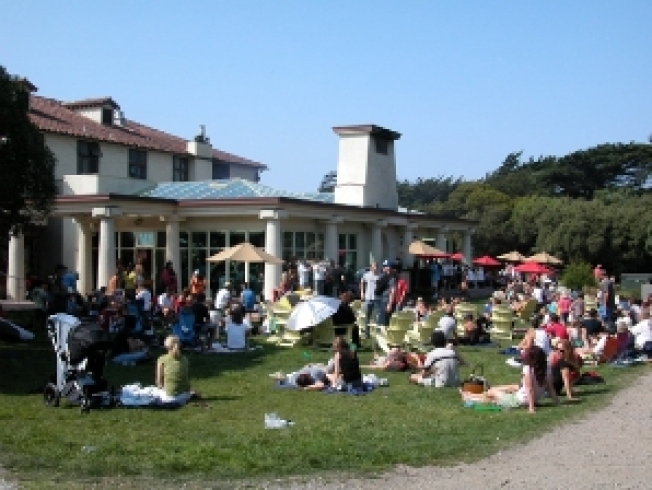 The Park Chalet will be playing all kinds of crazy music in honor of Independence Day. There will be drummers, a 25-piece oompah brass band and a "sit-down" marching band, whatever any of that means. And you can order all the usual outdoor BBQ items while you watch/listen in amazement.